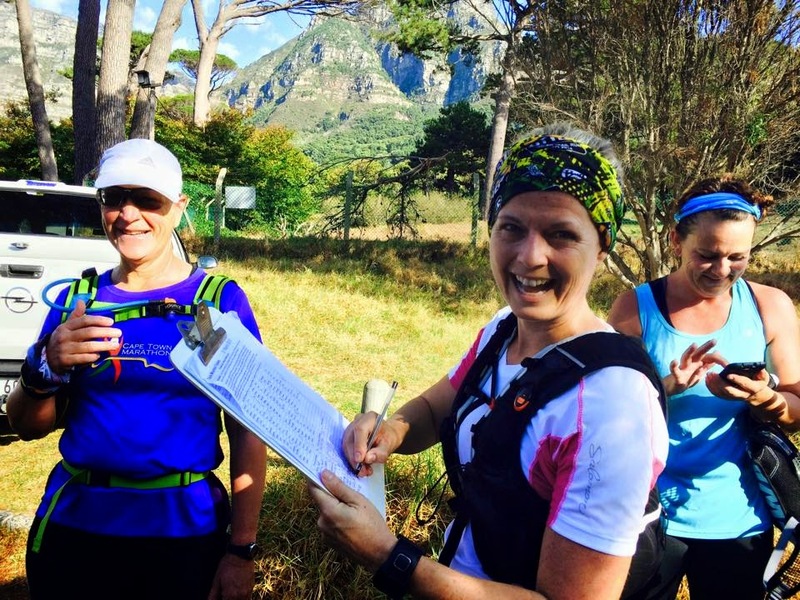 Many trailers turned out for a rather hot March run on Table Mountain. All groups left from the parking lot at the intersection of Tafelberg and Kloof Nek roads and continued along the pipe track. 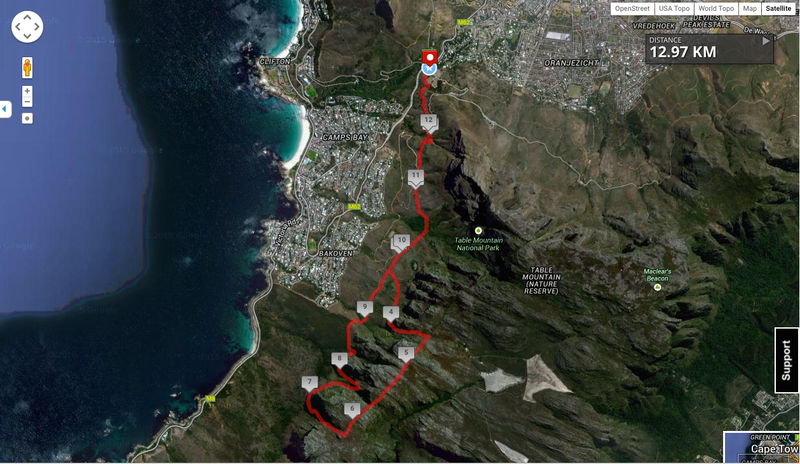 3 km along the Pipe track, the Main and Recovery groups went up Kasteelspoort. 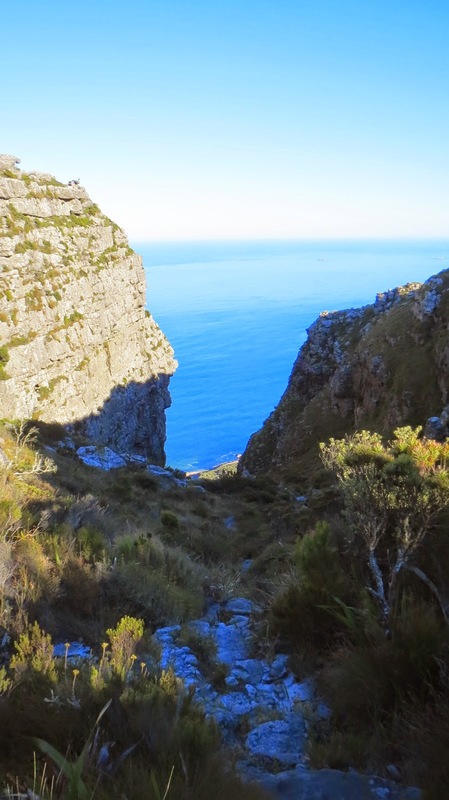 Kasteelspoort is a tough, up-hill climb to the top of the Twelve Apostles. From here, the route is flat along the top of the mountain. The Main group continued further along the top of the mountain to Corridor Ravine and headed back towards the Pipe track. The Recovery group had a quick look at the Old Cable Station, before heading town Woody Ravine to the Pipe track. All groups headed back to the start along the Pipe track. The Main group completed 13 km, the Recovery group completed 11 km and the walk/run group 10 km. Those clever Norwegians were right again - we awoke to the sound of rain on Saturday morning. 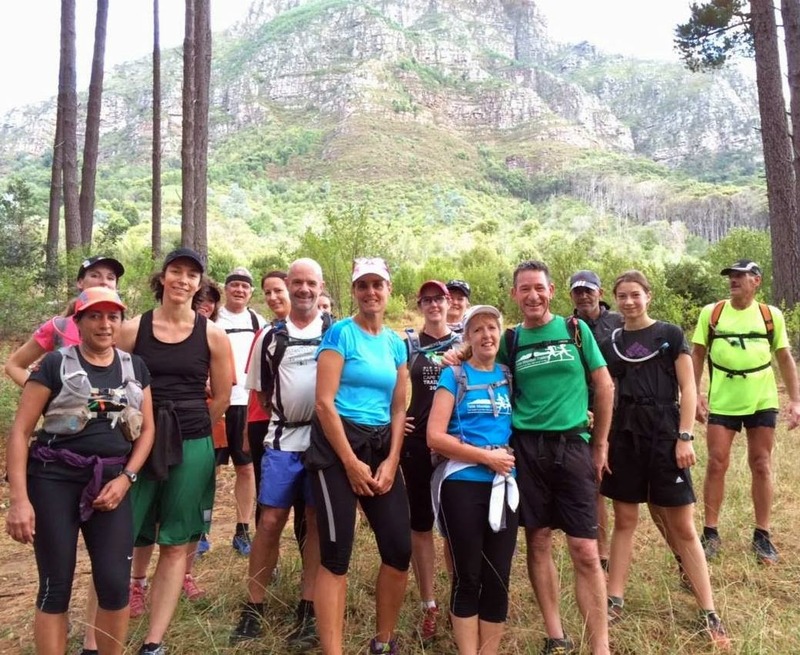 Despite the dawn downpour, 37 keen trailers presented themselves at the wooden gates to Rhodes Memorial for a recce of the Two Oceans 10km Trail. However, the kindly heavens smiled on us and by the time we set off, the rain had stopped and we were presented with perfectly fresh, cool forest paths to run on. The route is a tricky one, with lots of twists and turns and zigzags, and Julian did his best to remember it from previous runs, resulting in an ‘artist’s impression’ of the route. The recovery group attempted to follow the route on Endomondo, but we still managed to take a wrong turn twice and had to backtrack. We also missed a loop at the beginning and tacked it on the end instead. It was a "creative" morning. Thanks to Julian, who heroically led the main group of 20, which was gracefully swept by Gaeleen. Thanks also to Nicole, who kept the 17-strong recovery team in tight formation. Not a single soul was lost this week from either group. The main group did 10kms in 1h46 and the recovery group a slightly longer 10.6kms in 2 hours exactly. 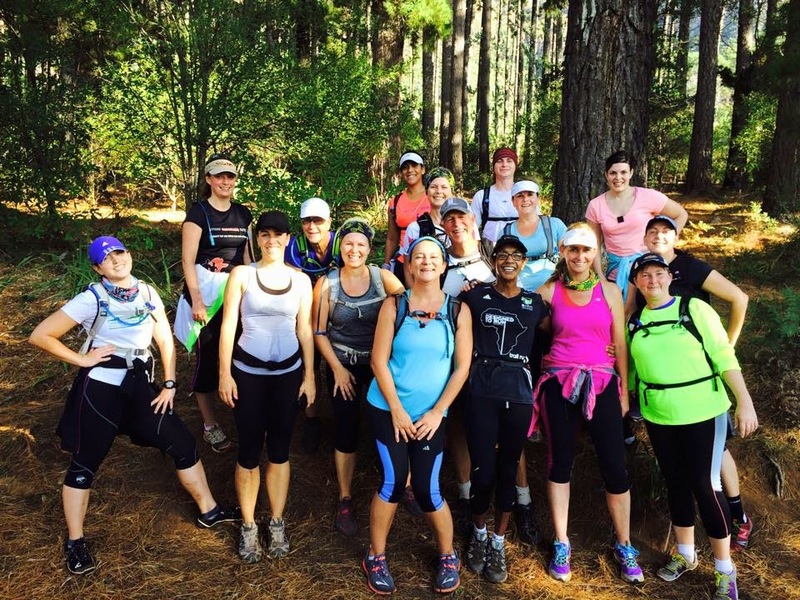 Many runners turned out for our first run since the devastating fires on the peninsula mountains. 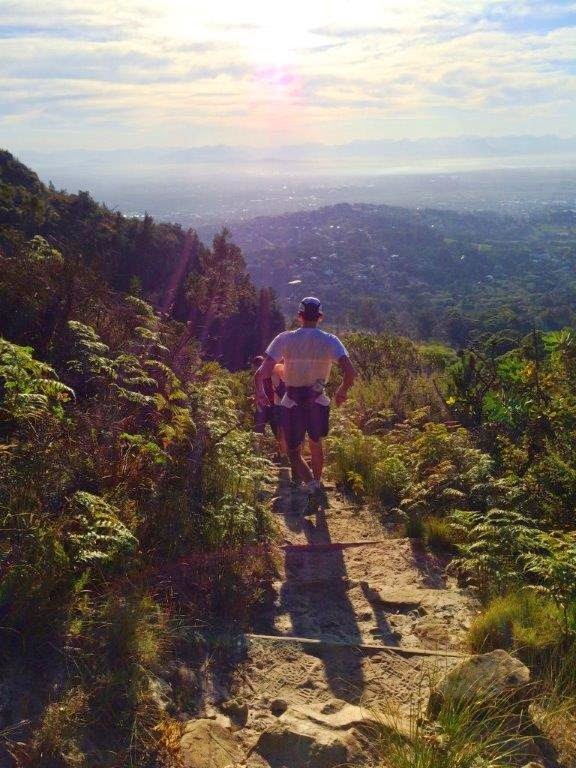 This week we did a circular route through the unaffected Cecelia Forest and Kirstenbosch area. 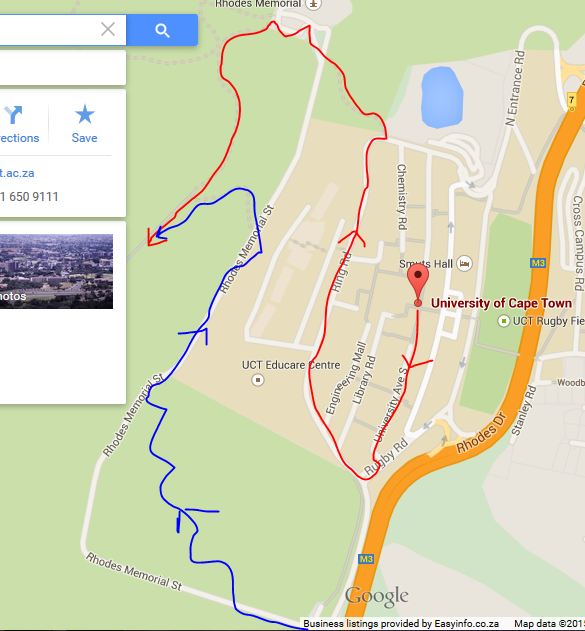 All groups started at the Cecelia Forest parking (corner Hohenort and Rhodes drive) and followed the cycle track, parallel to Rhodes drive, towards Southern Cross drive. 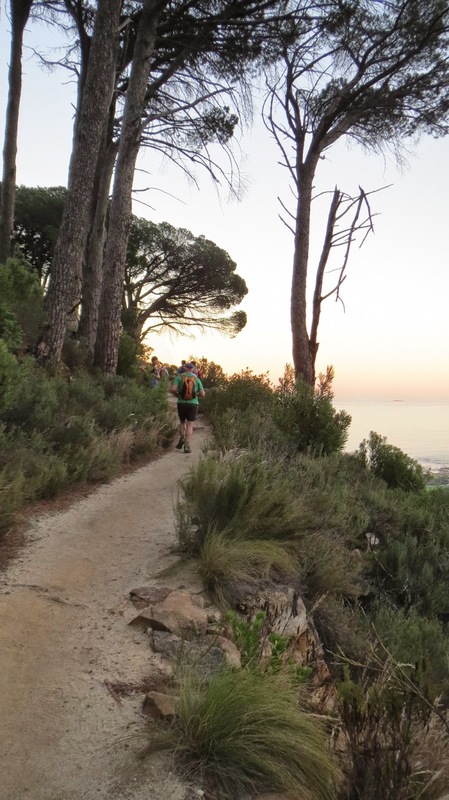 From there, groups followed the steep jeep track towards Constantia Nek, before turning north along the upper contour path. 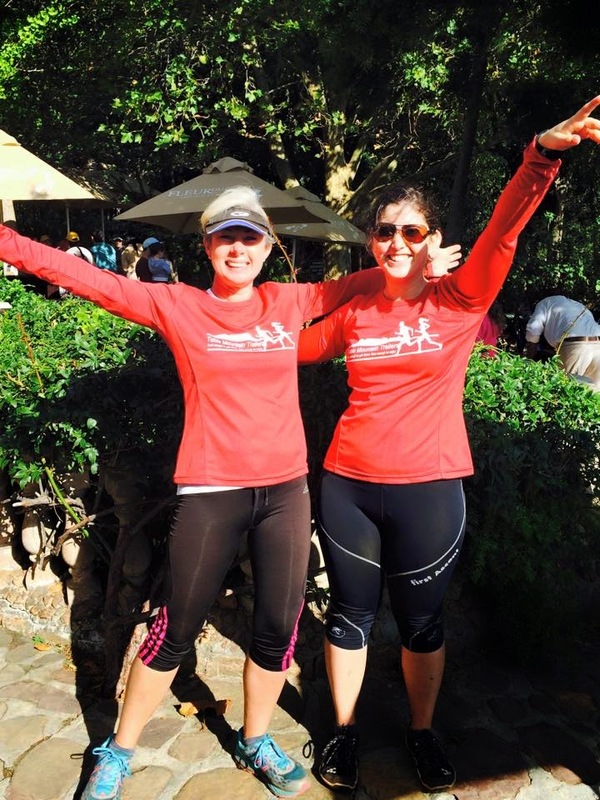 From there, runners went up the stairs to Rooikat ravine and towards the Cecelia waterfall. 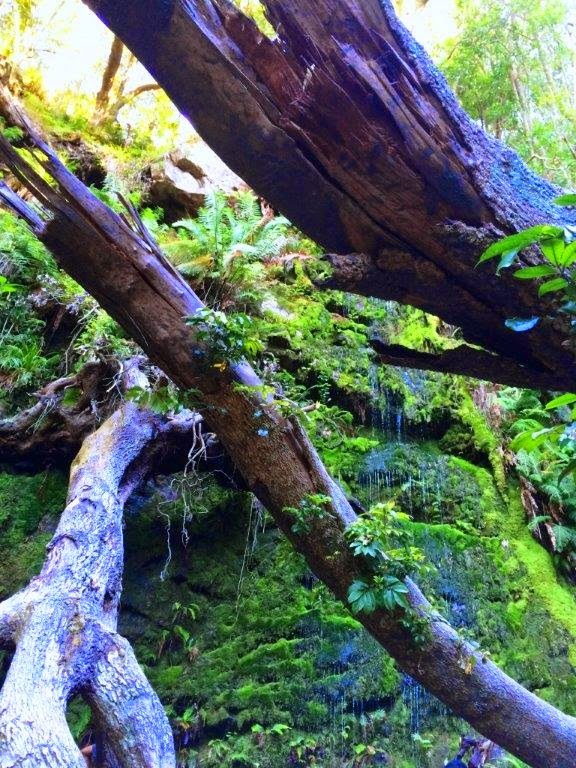 The path was mainly undulating stairs along the side of the mountain, which gave great views of the valley below. 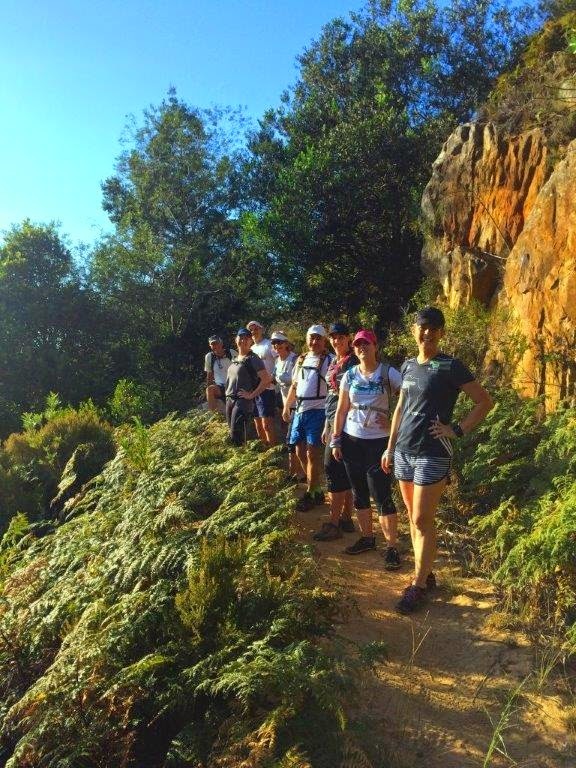 Runners carried on to the Fourways signpost above Kirstenbosch, where the Main group did an extra loop to Skeleton's Gorge and the Recovery group to Nursery Ravine. All groups headed down the various contour paths and short cuts to the car park. The Main group completed 12 km and the Recovery group 9 km in about 2 hrs. Gregg Smith completed his 75th sortie so is now eligible for a Blue tee and Aneen Koch her 10th so now moves to the speed check-in on the register.